Happy New Month everyone! I’ve been talking of saving up and going self-hosted for a while now over at my twitter account. Well, I finally did it. Uwadis.com is now live. I’ve been tweaking my site for weeks now and I never want to see another line of code but I’m excited. Why you ask, because it feels like the first step forward in being more serious with my blog. I made a promise to myself that this year I would step out of my comfort zone, put myself out there, stop doubting myself so much and just plunge right into things I’ve always thought of doing. I realised that If I didn’t do this, I would go through life with the feeling that I’m missing out on life and I could be doing so much more. Sorry if this all sounds cheesy😅. In the last quarter of 2018, I wrote a list of things I would do to step out of my comfort zone. It included going self-hosted and applying to be a contributor to BookRiot. I wanted more freedom: The things you can do with a free WordPress.com site are really limited. At first, it was okay for me but when I decided to get more serious with my blog after a short period of being inactive due to work and school, I found that I was dissatisfied. You can’t use plugins unless you upgrade to the business plan, you can’t tweak your site with CSS, you can’t put an email sign up forms in your posts, e.t.c. I wanted to monetise my site: One of the ways I wanted to do this is by joining affiliate programs and maybe sign up for Google Ads for now at least. You see I’m a student who puts a lot of love, time and effort into blogging and I spend so much money on data and it would be nice to get a little something back. You would be surprised at the fact that a lot of affiliate programs prefer blogs with their own domain to free ones which makes total sense. I wanted the cheapest option: You are probably wondering why I didn’t just upgrade my WordPress.com plan. At least I can have a bit more freedom and get Word ads to monetize my site, even though I don’t get plugins and Google Analytics. I realised that the amount I would pay for a premium WordPress plan is the same or around the same amount I would pay to go self-hosted. Of course, I know self-hosted comes with some kinks cause you are in charge of your site so if it breaks or you have hosting issues it can be frustrating. That’s why I chose a web host that has great customer service, Siteground. They are a bit more expensive than some other web hosts in the long run but they host regular Black Friday sales so I’m not worried. I spent around 57 dollars (20,000 naira) on my domain and hosting and voila here I am. Would you be interested in me writing a post detailing exactly how much I spent on hosting, a domain and other things like site redirect, pls let me know in the comments below. P. S: I’m not saying everyone has to go self-hosted, not at all. If you don’t have the funds, use a free WordPress.com site. If you don’t want the stress of being more responsible for your site, get a WordPress. com plan. I’m just stating my personal reasons for this. I know some people might think going self-hosted isn’t a big deal, I mean there are some free WordPress sites that get more traffic than some self-hosted sites. So in the end its all up to you. How do you like my new blog design? I spent days tweaking it cause I’m using a free theme with few inbuilt customizing options. So I had to code a little and I have so little knowledge about coding 😂 😂 but I made it through. Here is a pic of the before and after. Let me know what you think. Thanks to all the bloggers that gave me advice about self-hosting on twitter. I’m proud to be a part of such a supportive community. 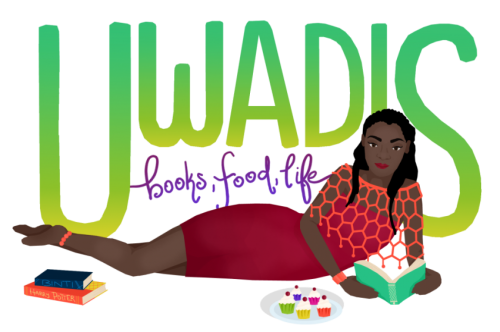 Special Shoutout to Nandini @Unputdownablebooks for putting up with my endless questions and giving feedback on my blog design even though she was so busy with work. Thank YOU the reader for being part of my audience and following me to this new stage of my blog. I hope you continue to support me on this new journey. I’m still here because of you all, cause if you didn’t read my posts or interact with me I would have given up long ago. I would love to know what you think about my blog and how I can make it better. If you could fill out the blog survey form, I would be very grateful. Thanks. Chat time! What do you think of my new blog design (the theme, header and page breakers)? Have you achieved any of your 2019 goals? If you haven’t, guess what? You still have 11 months to make it happen. Let’s chat in the comments! P.S: If you followed my old blog with a WordPress.com blog, my posts will show up in your Reader but you won’t get email updates when a new blog post goes up. This can be solved if you go to your reader, click on manage, search for my blog under your followed sites, click the settings button beside my blog name and select the “email me new posts” option. Thank you. LOVE THIS NEW LOOK! And wohoo, congratulations on going self hosted. It’s such an accomplishment, I’m glad you’re loving it <3 And sure, you should totally share the detailed version of how you went self hosted, I'm sure everyone would love reading it 😀 I'm so proud of you and best of luck for all the upcoming content! Awww, thank you Fanna. I’m glad you love the new look. Your site looks amazing! Congratulations on getting to do what you want and self-hosting, I hope you’ll link us to all your Book Riot articles, the site will be even better with you contributing! Congrats on self-hosting! I’m loving this new layout and look! Congratulations! I keep looking into getting my own domain and monetising, but I know I don’t have the audience yet to justify it. One day, though. Congrats on the new look! It looks very nice and another congrats on Book Riot as well. Congrats on self-hosting!! It’s something i’ve been thinking about but i know nothing about coding haha and i’m too busy to learn at present time but it’s not something i’m ruling out. Next academic year, i’ll have a lot more free time so i might look into this a bit more seriously. I’d love to see a detailed post about this though. Awww Thanks, Evelina. I’ll make sure you to send you all the links to my book riot posts. Thanks for all the support. Personally, I decided to go for a year’s worth of WordPress Premium and I’ll possibly go for self-hosting after. I really want to learn coding at my own pace before diving into the realm of self-hosting and manually updating my site. AHHH Thanks shealea. I was really inspired by how you just deleted your old blog and made another beautiful blog . I was struggling with picking a theme and choosing a color palette then and seeing you do that just made me more fired up to work harder at it.